Having studied Human Resource Development (HRD) in my Ph.D. program, I have received many questions from students, colleagues, and others about what HRD is. Therefore, this post briefly discusses the definition and functions of HRD as they relate to the role of an instructional design leader. The umbrella term human resources (HR) can be divided into two fields: human resource management (HRM) and human resource development (HRD) (Chalofsky,1989; Swanson & Holton, 2002). Under this umbrella, HRD encompasses the sub-fields of organizational development, career development, and training and development (Chalofsky, 1989; Jacobs, 1989; McLagan, 1983; Swanson & Holton, 2002). Swanson and Holton (2002) define HRD as a process for developing human expertise through organization development and individual training and development as a means of improving performance. HRD scholars emphasize two main themes. First, HRD is viewed as a process of identifying and solving human performance problems to achieve organizational goals. From this problem-solving perspective, HRD is often considered as a system. Jacobs (1989) stresses that systems theory is the most useful and effective approach to solve problems for the HRD profession. 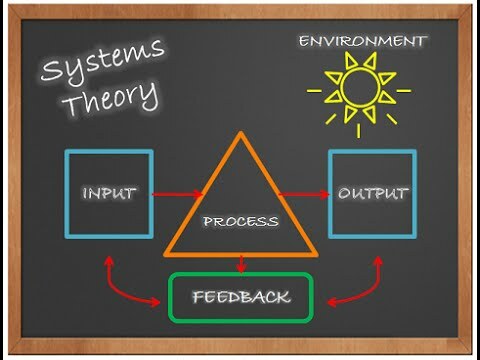 Systems theory encompasses inputs, process, and outputs of a system, as well as any observed feedback loop, and it accounts for how a system can be influenced by its larger surrounding systems or environments (see Figure 1). The idea that organizations can be improved through learning and development activities. What are the Functions of HRD? Although not everyone agrees on the definitive boundaries of HRD within HR, most HRD scholars agree on the following as the three central components of HRD: organization development, career development, and training and development (Chalofsky, 1989; Jacobs, 1989; McLagan, 1983; Swanson & Holton, 2002). Organization Development (OD): OD is designed to improve organizational effectiveness (e.g., financial returns and productivity, high performance employee, etc.) and is concerned with solving an organization’s problems and achieving its goals. OD involves in a process of planning and implementing changes in the strategy, structure, and/or processes of an organization, a department or work group, or an individual role or job in order to diagnose and solve organizational problems. OD also concerns change on a long-term basis; that is, new activities are stabilized and institutionalized within the organization through OD (Cummings and Worley, 2005). Top management teams interact through various OD methods such as action research and organization development for performance system (ODPS) within the group, and they use strategy and structure to solve organizational problems (Swanson & Holton, 2002). Career Development (CD): Career development services have emerged as an aspect of HRD functions, beginning in the early 1970s (Chalofsky, 1989). Organizations make efforts to select high-potential employees and to plan for their career progression, for the purpose of retaining and directing highly skilled employees as intended by top management. Most organizations primarily provide services that directly impact the functioning of their current workforce, such as training, alcohol/drug counseling, career exploration, career ladders, and teaching of advancement strategies (Gray & Herr, 1998). Training and Development (TD): TD is a systematic process of developing employees’ job knowledge and skills for improving performance. HRD primarily relies on improving organizational performance through training and development—efforts that ultimately increase not only the productivity and profits of an organization but also the job satisfaction of individual employees (Jacobs & Washington, 2003). TD has a five-phase process: analyze, design, develop, implement, and evaluate (ADDIE). This TD process, which is based on the ADDIE model, is rooted in the instructional systems development (ISD) model used by the U.S. military. Generally, training systems follow the ADDIE process to help individuals prepare to meet their job performance requirements (Allen, 2006). An instructional design leader in the field of HRD not only designs and develops training programs and courses but also improves learning and performance as a problem solver to help achieve organizational goals. More specifically, the instructional design leader analyzes problems at the organizational level and sees how those organizational problems are connected with individual learning and performance. At the same time, he or she analyzes problems at the individual level and sees how those individual problems are connected with and to the organizational learning and performance. 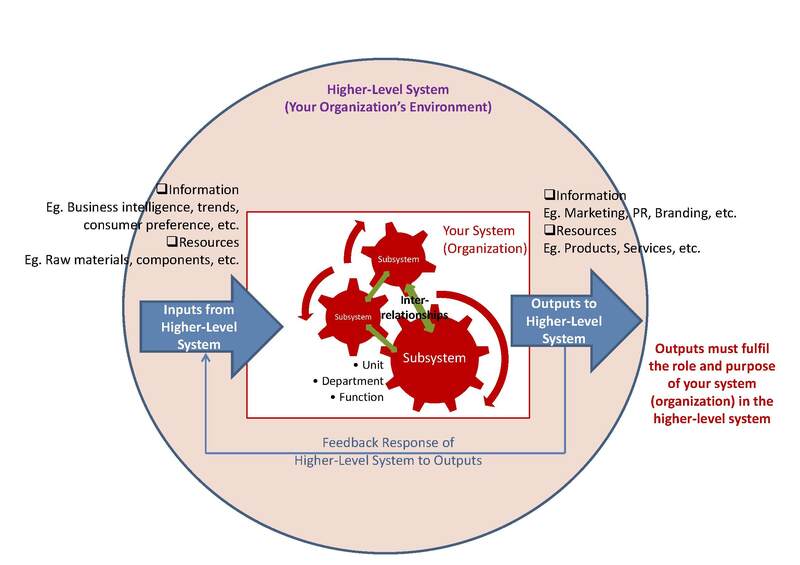 The systems view, as mentioned above, helps the instructional design leader 1) clearly understand the complex situations faced in a subsystem; 2) examine how a subsystem can be influenced by its larger surrounding systems or organizational environment to solve individual and organizational problems; and 3) provide appropriate interventions to develop both individual and organizational growth. Allen, W. (2006). Overview and evolution of the ADDIE training system, Advances in Developing Human Resources, 8(4), 430-441. Bierema, L. (1997). The development of the individual leads to more productive workplaces. In R. J. Torraco (Ed. ), Academy of Human Resource Development (pp. 652-659). Baton Rouge, LA: Academy of Human Resource Development. Chalofsky, N. (1989). Systems theory applied to human resource development, in Gradous, D. (Ed. ), Systems Theory Applied to Human Resource Development. Alexandria, VA: American Society for Training and Development. Cummings, T., & Worley, C. (2005). Developing and assisting members. In Cummings & Worley (Eds. ), Organization Development and Change (pp. 396-416). Mason, OH: South-Western. Dirkx, J. (1997). Human resource development as adult education: Fostering the educative workplace. In R. Rowden (Ed. ), Workplace Learning: Debating Five Critical Questions of Theory and Practice. San Francisco, CA: Jossey-Bass. Gray, K. & Herr, E. (1998). Workforce education: The Basics. Needham Heights, MA: Allyn & Bacon. Jacobs, R. (1989). Systems theory applied to human resource development, in Gradous, D. (Ed. ), Systems Theory Applied to Human Resource Development. Alexandria, VA: American Society for Training and Development. Jacobs, R., & Washington, C. (2003). Employee development and organizational performance: a review of literature and directions for future research. Human Resource Development International, 6(2). McLagan, P. (1983). Models for excellence: The conclusions and recommendations of the ASTD training and development competency study, Alexandria, VA: ASTD Press. Swanson, R., & Holton III, E. (2001). Foundations of human resource development (1st ed.). San Francisco, CA: Berrett-Koehler. Kong, Y. J. (2009). A comparison of the practices used by human resource development professionals to evaluate web-based and classroom-based training programs among Korean companies (Doctoral dissertation). The Ohio State University, Columbus, OH. Retrieved from OhioLINK ETD Center database.